Three people were hospitalized Friday evening in a four vehicle accident just outside Robertson County on Hwy 431/Tom Austin (White Creeks Pike) between Sycamore Creek Rd and Coopertown Rd (Joelton Area). (exact location of wreck) The accident occurred at 9:45 p.m. Friday evening and had 431/White Creeks Pike shut down all evening. The road was still closed down well after 1:30am. UPDATE 12:02am Traffic is at a complete stand still. Metro Police are investigating the accident. We are waiting to speak with officials at the scene. UPDATE 1:30am 431 Should be opening up in a few minutes. 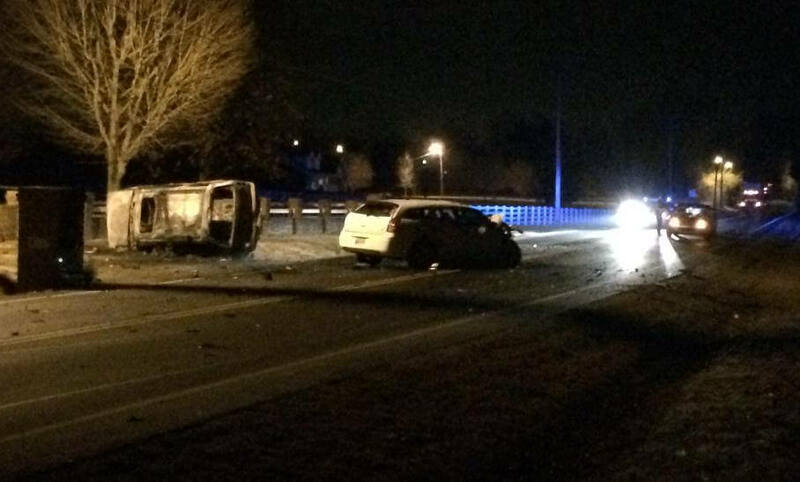 According to Officer Spillers with Metro Nashville police the accident was caused by a medical emergency. Spillers also said “It looks like everyone will be OK” Three occupants were transported to local hospitals, two to Vanderbilt and one to Skyline Medical Center. One occupant is in critical but stable condition.